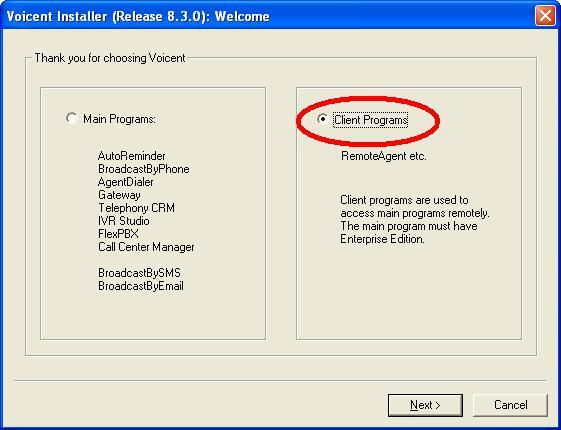 To install Voicent Call Center Manager software on a manager's computer, download Voicent software installer, run it, choose Client Program. Follow the onscreen instructions and continue with the setup wizard. By default, Voicent Call Center Manager is not enabled. 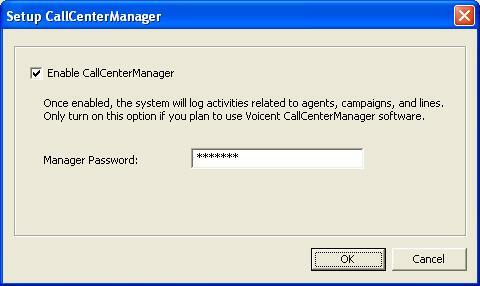 To enable it, open Voicent Gateway main window, select Setup > Setup Call Center Manager. (Please note Voicent Gateway may be installed on a different computer than the manager's). Select Enable Call Center Manager. Optionally, you can setup a manager password. From Call Center Manager program main menu, select Manage > Connection Wizard, and follow the onscreen instruction to connect to Voicent Gateway. You can also connect to Voicent gateway from Manage > Manage Gateway... program main menu.